Design, implement and test information systems for a broad area of applications. Research areas and projects at InfoLab concern information management and information retrieval, as illustrated in tools for web search, data analysis, research data management and digital preservation. 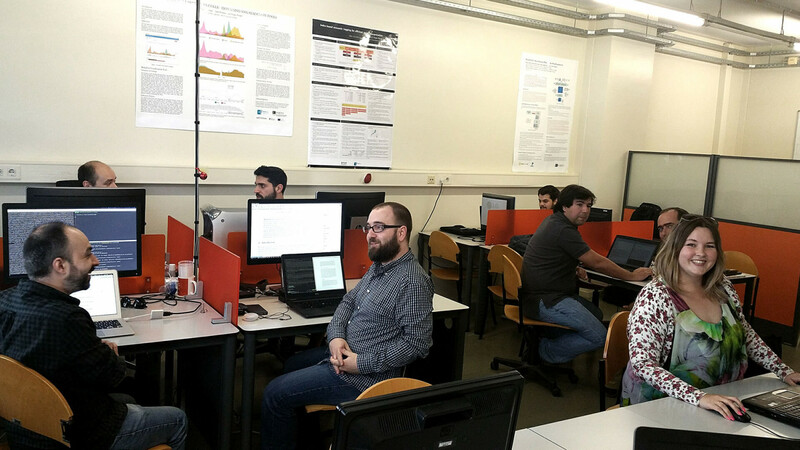 The Information Systems Lab (Infolab) is located at the Informatics Engineering Department at FEUP campus, on the 1st floor (room I 123) of the I building. The Information Systems and Information Management research line investigates in the areas of information management, information retrieval, information processing, digital preservation and research data management. Specifically, there is work in contexts such as web mining, recommender systems, social web, semantic web, and text mining. Work in digital preservation includes models, methods and tools particularly in the area of database preservation, research data repository management and e-science.To do so, InfoLab combines different backgrounds on Informatics Engineering and Information Science. Additionally, InfoLab showcases its “Made in FEUP”, quality open-source software. The InfoLab vision is to give back to the community the results of its research, after maturing the outcomes and transforming them into quality engineering solutions. These are ready to be used by third parties involved in production environments. The ANT is a search engine for entities, developed at Infolab, that allows to search for contente in SIGARRA, the information systems of the University of Porto. The ANT connect groups of keywords groups to the respective entities, and uses this knowledge to improve search over a texto-only search. Need additional information about the	Information Systems Laboratory?